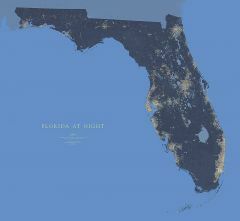 Florida Map - Elevation Tints Map: Elevation Tints is the classic Raven Wall Map. 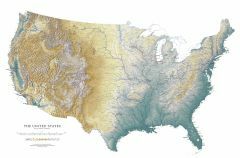 It uses shaded relief to portray the land and combines shading with elevation tints-- a sequence of delicate hues and colors that portrays landforms--much more clearly than the abstraction of contour lines. 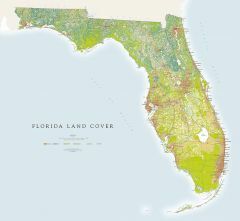 Elevation colors make mountains, highlands, and valleys immediately obvious.